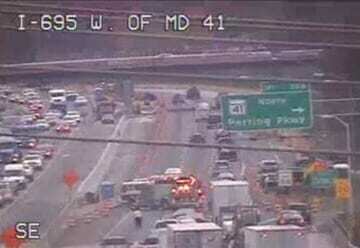 Two lanes of the beltway’s inner loop are currently shut down approaching the Parkville area. At about 10 a.m., an accident was reported along the inner loop at the Perring Parkway exit. The two left lanes are closed and vehicles are getting by in the far right lane. Traffic is said to be backed up to the Cromwell Bridge exit. Motorists should use caution on the area.